We meet you wherever you are on your financial journey. We understand your journey is unique, and we’ll take the time to get to know your current financial situation before any recommendations are made. Regardless of where you’re starting, you still have things you’d like to accomplish. We come alongside and help you define and achieve those goals. Think of us as the guides who have the tools and expertise required to help you navigate the path between where you are today and where you’d like to be in the future. 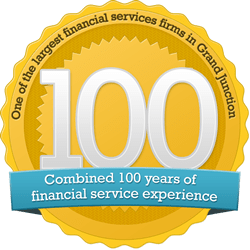 We understand finances can be intimidating, confusing, and frustrating. Our hope is to guide the families we serve along their financial journey. By doing so, we help bring comfort, clarity, and contentment to our clients’ lives. By lifting as much of the financial burden off of your shoulders as possible, we will empower you to spend more time and energy on the things that matter most to you. creating a partnership between client and advisor. will assist you in reaching your goals and building your future.